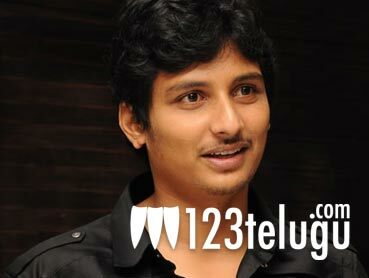 The Telugu title of Jiiva’s upcoming superhero film has been confirmed as Mask. Directed by Mysskin, Jiiva plays a masked vigilante in the film which is originally being made in Tamil as Mugamoodi. Pooja Hegde is playing the lead role opposite Jiiva and this is her first film in Telugu and Tamil. RB Choudhary has bought the Telugu dubbing rights and he’s planning to release the film in a big way later this month. The film’s audio launch is going to be held on August 12 in Hyderabad. Sathya has composed the music. Jiiva became quite popular in Andhra Pradesh after the success of Rangam; however, none of his films which released after Rangam like Vachadu Gelichadu, Roudram and Snehitudu have done well at box office. We’ll have to wait and see if Mask can break his jinx at box office.